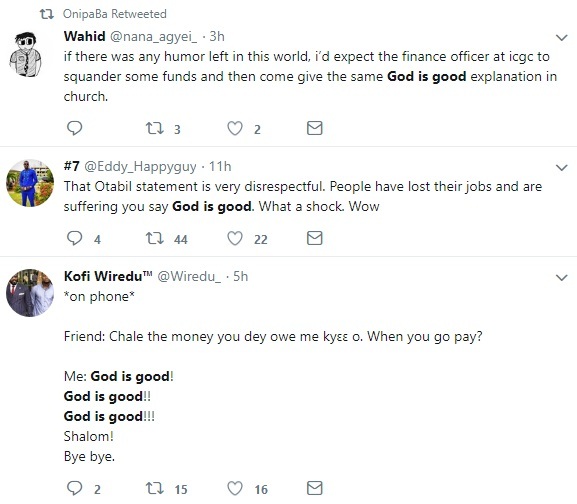 A phrase offered by the Head Pastor of the International Central Gospel Church (ICGC), Pastor Mensa Otabil as an explanation to anyone with queries concerning himself and the collapsed Capital Bank is currently trending on Twitter. "I felt that as your pastor, I owe you an explanation, to come to church and to make a statement of what my views are, so that when you go out and people come out with information, you will have a response to give to them," Otabil told an ICGC congregation on Sunday. "These are the three statements I will make with regard to the response I want to give, which I expect you to carry along to explain what is happening. "My first statement is that God is good, my second statement is that God is good and my third statement is that, God is good." 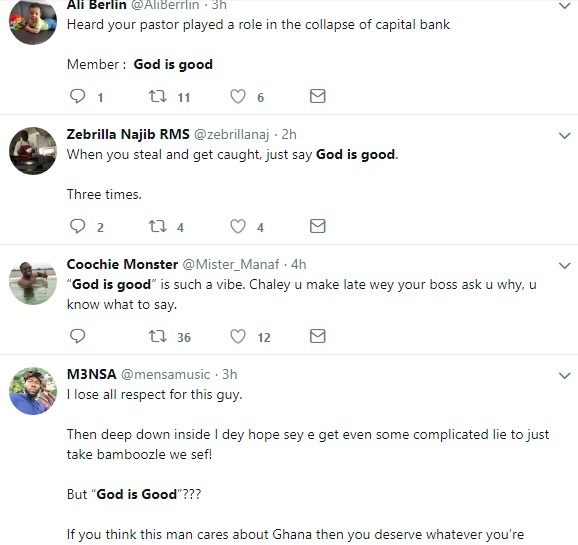 The phrase 'God is Good' has since generated debate on several platforms is currently among the top trending topics on Ghanaian Twitter. While some have tweeted their support for Otabil's comments, others have described his comments as disrespectful and some have used it as inspiration for jokes. One Twitter user, Kwame Isner (@at-winston) quizzed: "Do you owe someone an explanation? Just hit them with "God is good" and you'll be fine". Do you owe someone an explanation? Just hit them with "God is good" and you'll be fine. Another user, Wahid (@nana_agyei_) said: "if there was any humor left in this world, I’d expect the finance officer at ICGC to squander some funds and then come give the same God is good explanation in church". if there was any humor left in this world, i’d expect the finance officer at icgc to squander some funds and then come give the same God is good explanation in church. 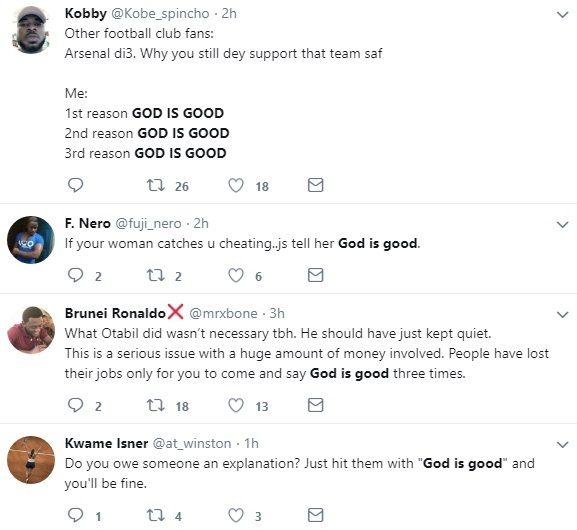 Some sports fans also saw the funny side, linking the comments to the fortunes of their teams in the English Premier League this past weekend. A Manchester United fan, Zuka (@marzu_awwal) following the 3-2 loss of the Red Devils to Brighton tweeted: "Fellow United fans, if someone asks you about what happened yesterday, your response: God is good!" your response: God is good!